Question: Will this plan accommodate a 10' wide x 8' high door. What is the overall height of the building? Answer: The height from grade to the roof peak is 16’-6”. Yes, the plans could accommodate 10w x 8h garage doors. 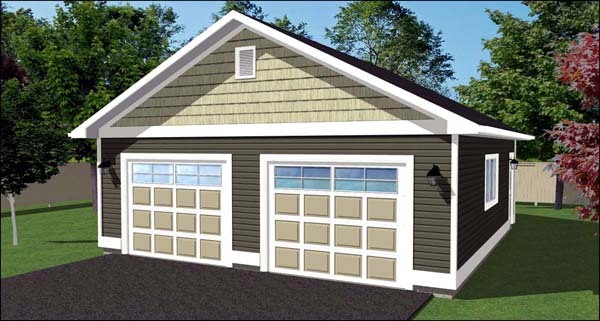 Question: What is the garage door size? 9 x 8 or 9 x 7 ??? 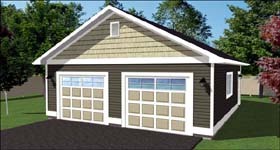 Answer: The plan is currently designed with 9’-0” wide by 7’-0” high garage doors.